We begin 2018 by visiting the land in between, a land also known as Rexoria. Although Rexoria happens to be the moniker of a female fronted Swedish quartet that begun their path towards glory in 2016. They have managed two EPs since then and now in the early days of 2018 comes the debut album Queen of Light, an album with a witch on the cover. It will have to remain undecided if singer Frida is a witch as the press sheet tells nothing of it but the album can be said to offer some witchcraft, kind of like the cover suggests. 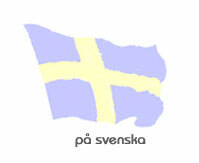 It is all about melodic metal with some folk music touches and female vocals, good female vocals. One can hardly claim that Frida is one of the best female rock/metal vocalists ever but she does really well, and she is a great fit for the style of music this band is offering. The soundscape is modern and relatively fresh, it also offers good variation and the eleven tracks keeps the listener interested for the entire playing time that lasts for just over fifty minutes. It is a high quality production that will appeal to fans of the melodic rock/metal genre, especially the female fronted variety. The year is opened in a great way on our review front with this album, and the same can be said about Rexoria’s album career. It is an album that is appealing on most fronts, sure it isn’t the most groundbreaking of albums but it can be described as having a relatively fresh sound. It certainly offers a great sound. All the songs are good, from the beginning to the end, and it is an album one can play over and over again – an album that actually invites you to do so. And while all the songs are good I think the ending one called You’ll be Alright is the best one, a five-minute epic to round the album off in the best possible way. And on the subject of hits I also think the title track and the opening one The Land in Between are tracks worth mentioning as highlight. Thumbs up for Rexoria and their debut album, it is a highly recommonended album for both you and for me. It is an album worthy of a place in the record collection, slightly bewitching and a debut that showcases a strong band and also promises much for the future. 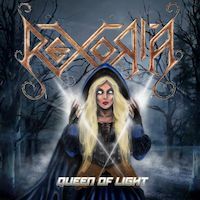 Therefore I think Queen of the Light and her band Rexoria should be highly recommended in the first review of the year from us at Hallowed.